Caption: Lotherton Hall is always a lovely place to visit in the autumn. A special apple harvest event is just one of the delights on offer at an historic Leeds house this autumn. Held on Sunday 14 September 2014, visitors can enjoy a range of fun activities and games to celebrate the start of the apple harvest at Lotherton Hall. On offer will include the chance to enjoy cider and apple juice tasting, and enjoy special harvest treats in Lotherton’s café. An ‘apple and spoon race’, garden games, autumn crafts in the house and circus performance workshops located in the carriage yard are also set to be available, with music provided by the Yorkshire Brass Quartet. Youngsters can take part in making fruit and veg sculptures and mini scarecrow making, or join mum and dad in picking ancient and Yorkshire varieties of apples from the estate’s much loved orchard; you can even learn about harvest mice in the living display at the bird garden education room. The work of Ilkley based artist Kevin Dixon is also set to be showcased at Lotherton this autumn as part of a new exhibition opening from September 25. Around 30 new oil paintings taken from Kevin’s travels in the past year will be on display depicting a wide range of fantastic sights both at home and abroad including Wharfedale, Venice in Italy, and The Var in Franc. Running until December 31 2014, visitors can view the exhibition in the Servants’ Hall. One of Lotherton’s most famous family also continue to be celebrated through a range of collections, and a new interactive area where you can find out more about the interesting lives of the Gascoignes. As always the quiet and peaceful surroundings of the Lotherton Hall estate will also be open, where there is the chance to walk down a newly created path into the heart of a deer park, or to a pond and marsh, full of frogs, toads and newts. "A trip to Lotherton Hall is always a lovely experience, and we are delighted to say that there will be lots to see and do at the house and on the estate this autumn. Lotherton Hall is a charming Edwardian house and country estate. A single entrance price allows access to the house, with its wonderful collections of fine and decorative arts and a dedicated fashion gallery, and extensive grounds with an abundance of activities to keep everyone busy. 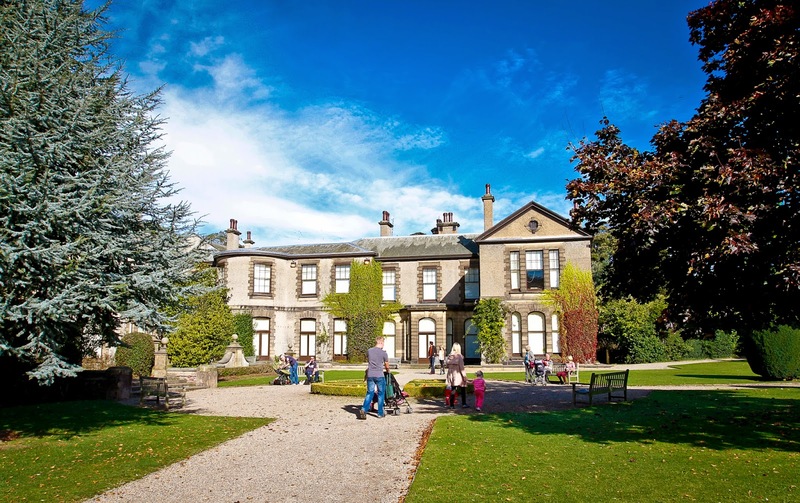 Lotherton Hall has undergone numerous changes over the last few years since becoming one whole visitor attraction. With this new and larger audience the house has adapted by improving access and introducing a new range of family-friendly facilities. Other recent improvements have seen the re-opening of the Servants’ Rooms on the ground floor following a major restoration. Lotherton Hall has been displaying fashion since its early days of being a museum in 1968, showing fine examples of both historic and more contemporary fashions. Summer opening times (March to October) House, café, shop and bird garden: 10:00 to 17:00 with last entry at 16:15. Estate gates: 07:30 to 20:00.